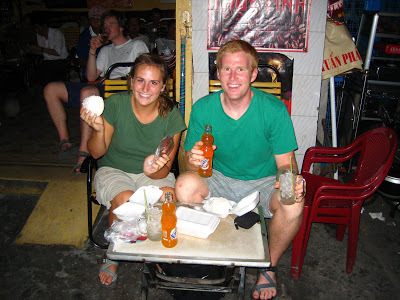 I was a honeymooner, sitting at the corner shop on a busy market street in Ho Chi Mihn City when it happened. My first and best ever bowl of Pho! A child server carried the bowl, larger than his head, of piping hot Vietnamese noodle soup in one hand with a towering platter of basil and mint in his other hand. Noodle soup doesn’t describe this dish nearly well enough. If you’ve had it, you know. It’s not just beef broth with meat and noodles. The variety of textures and flavors is what makes it special- the chewy noodles, crunchy bean sprouts, and tender beef. In fact, in traditional pho the beef is not cooked prior to serving, just thinly sliced, and gets cooked as it is dropped into the intense and rich beef broth. This broth is built over hours and hours of simmering marrow rich beef bones, and flavored in stages with layers of bright herbs and seasonings. Aside from tasting delicious, I love pho for its elusive background and history. While it’s exact origin is highly debated, most agree that pho began in northern Vietnam about 100 years ago. It was street food, sold from a walking vendor wearing a “shoulder pole” and widely available to all as a quick meal to eat on the go. But when Vietnam split into two in 1954, about a million people moved south to avoid communism, bringing pho with them. Now, they had more freedom and resources which was reflected in the quality and garnishes for Pho: lime, bean sprouts, cilantro, cinnamon basil, hoisin sauce, chili sauce and more! During the “subsidy period” after the Vietnam War, costs were cut and people served meatless pho, and noodles made with alternative ingredients. 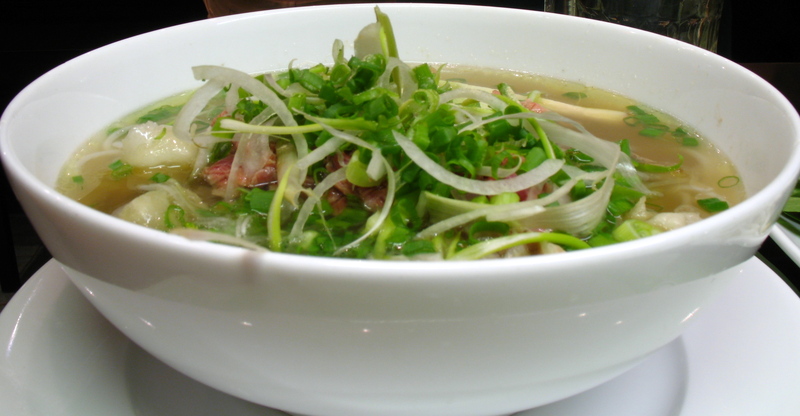 Pho has undergone many changes since it began, and its story continues to develop. 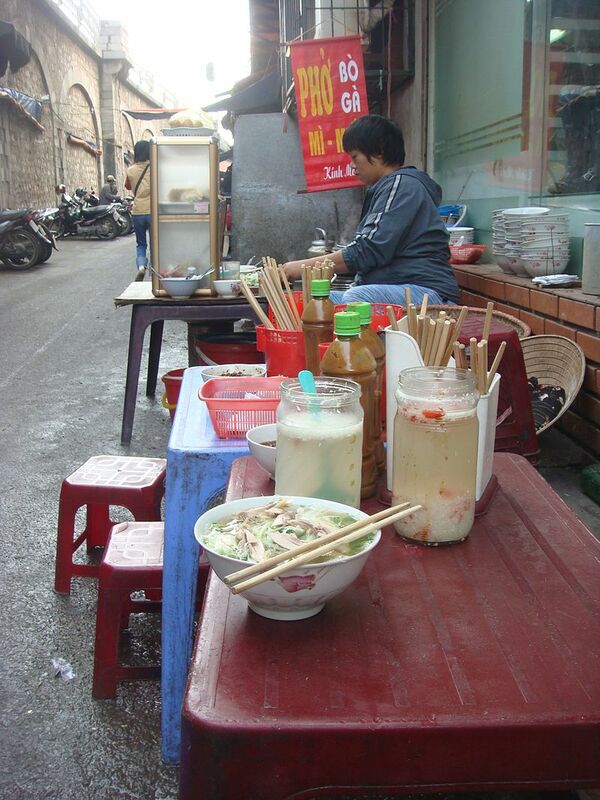 Traditional pho has since been brought back to Vietnam, and after the war, Vietnamese refugees have brought pho to countries all around the world. It really took in America during the early 1990’s, once political relations improved between Vietnam and the United States, and that introduction has only gained momentum since. According to an unofficial Wikipedia estimate, it is said that Pho generated $500 million yearly in revenue during the 2000’s. I have sought out Pho in every place I’ve lived since our honeymoon in Vietnam. My bowls have varied slightly, but the basics are always there- the rich deep beef broth with tender meat, crunchy bean sprouts and flavorful herbs. I’ve never had a bad bowl of pho, but some are definitely better than others! If you haven’t yet eaten it, I urge you to look up some Yelp reviews and find a good restaurant near you. 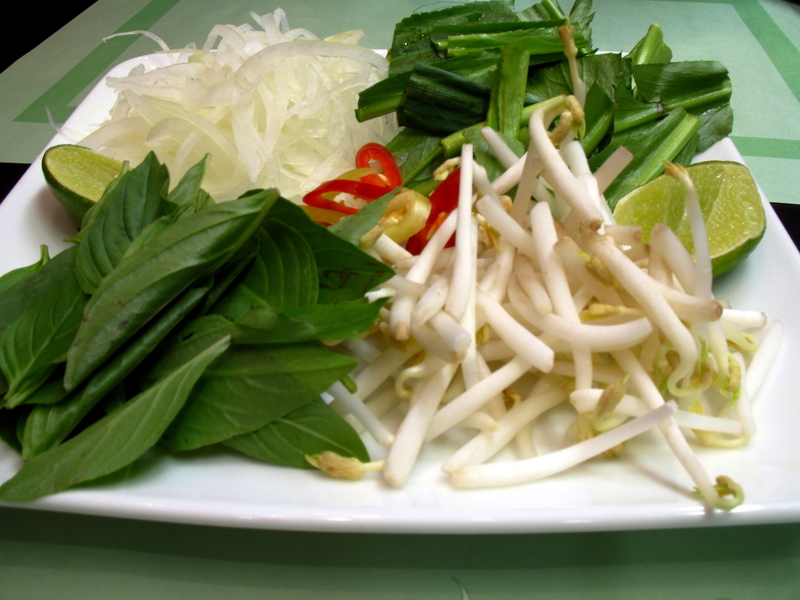 Don’t be afraid to ask for extra bean sprouts or herbs, they make the dish for me!! If you’ve brave enough to tackle making pho at home, this recipe by Jaden from Steamy Kitchen is a great one to try. It is definitely time consuming to make, but if you cook with love it is bound to turn out great!